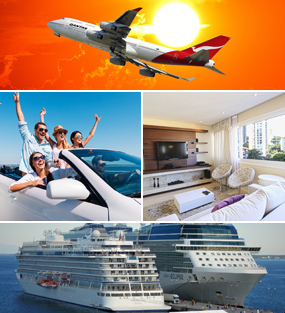 Plan vacation or business trip with eTravel.com and search best offers, cheap rates and discounts on hotels rooms in Houston. Find your next great offer and book your perfect hotel in Houston. On this page we give you information related to hotels and activities available in Houston, Texas, United States. How is the Houston City? This fourth largest city in the United States is undoubtedly a metropolitan city buzzing with unmatched energy, unique experiences, world class dining, shopping and nightlife, yet seeped in its history and culture. The resident opera, symphony, ballet and several theatre companies cater to the art connoisseurs from all parts of the world. Take a stroll around the Museum District that houses 19 museums catering to people of all age and interest groups. Of these 19 museums, 11 are free to the public. A visit to NASAs Johnson Space Center is a must to get a glimpse of the outer world with simulation labs, actual rocket exhibits and interaction with the astronauts. Downtown Houston offers everything from shopping, fine dining, relaxing at Buffalo Bayou Park and watching a sports game at Toyota Stadium. Houston’s Livestock Show and Rodeo, the biggest annual event, is the time when families get together and enjoy the carnival rides, games, local food, several activities such as cowboys showing their skills in several domains and the Downtown Rodeo Parade. What are the Popular Attractions in Houston? Your trip to Houston is incomplete without NASAs Johnson Space Center that allows visitors to walk around in Independence, their space shuttle replica, as well as Skylab, the first space station of US. Take your pick from 19 different museums in the Museum District and wander off. This area is also home to the Houston Zoo where you can feed the giraffes, watch sea lions doing somersaults and about 6000 other species of primates. Houston’s culinary scene is out of this world, with more than 11,000 restaurants serving cuisine from 70 different countries of the world, and the best way to experience it is through a culinary tour. Once you are exhausted, take a break at Buffalo Bayou Park where the calm waters and waste expanse of greenery will relax your mind and soul. Where to Stay in Houston? Downtown Houston is a business hotspot as well as the hub for several tourist attractions, making it an apt choice for business travelers and families to stay in a hotel in the vicinity. If you are on a girls’ trip for exclusive shopping in Galleria, one of the largest shopping centers in the nation or a party animal visiting the Richmond Strip that is reverberating with night clubs and non-stop party scenes, a hostel in Uptown District would be a good choice. How to Enrich your Houston Experience? Though the entry to Space Center Houston is free, you can buy timed tickets to avoid long queues. There are also limited separate tickets for interaction with the astronauts, which sell out quite fast, so you might want to grab them beforehand. If the travel dates are adjustable, plan your trip around the Houston Livestock Show and Rodeo. This 19-day carnival is the biggest annual event in Houston celebrated in February and March. The zest, liveliness and energy you’d feel here is like never before. Houston’s spring and summer months can get extra hot because of extreme humidity, so carry cool and loose clothes. If catching an art show at one of the theatres is on itinerary, it is advisable to book the tickets in advance to avoid last minute disappointment. With a plethora of dining options available, one is bound to get confused about which cuisine to try and which restaurant to visit. Do your home on what kind of food you’d like to try, which restaurants are there in the area near you and filter accordingly.